Yesterday, whatever holiday you may have been celebrating, was also a beautiful day in the Chicago area. For that matter, Saturday was quite wonderful as well: I had a visceral perception of my depression lifting and concluded it must have been directly related to abundant sunshine. Although having a new car to drive to the pool and grocery shopping didn’t hurt either. Sunshine aside, it was warm yesterday as well. I started out at Ottawa Trail around 8:00 a.m. wearing a t-shirt, sweat shirt and windbreaker. I shed the sweatshirt before I left and by the time I got to the Portage at 10:00 I was minus the windbreaker too. 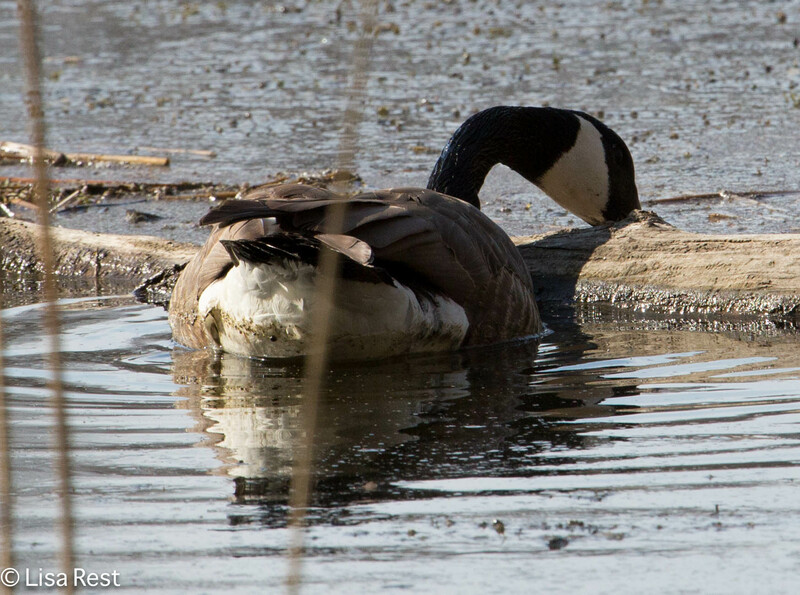 For all the warm weather, there weren’t an awful lot of birds at Ottawa Trail, but improvements have been made and it’s easier to walk all the way now, it doesn’t stop abruptly anymore and insist that you be in good enough shape to climb down and back up a 3-foot cement retaining wall, while still leaving enough of the former demolished structure to stop and rest, lay down your optics and take off your sweatshirt to stuff in a backpack. 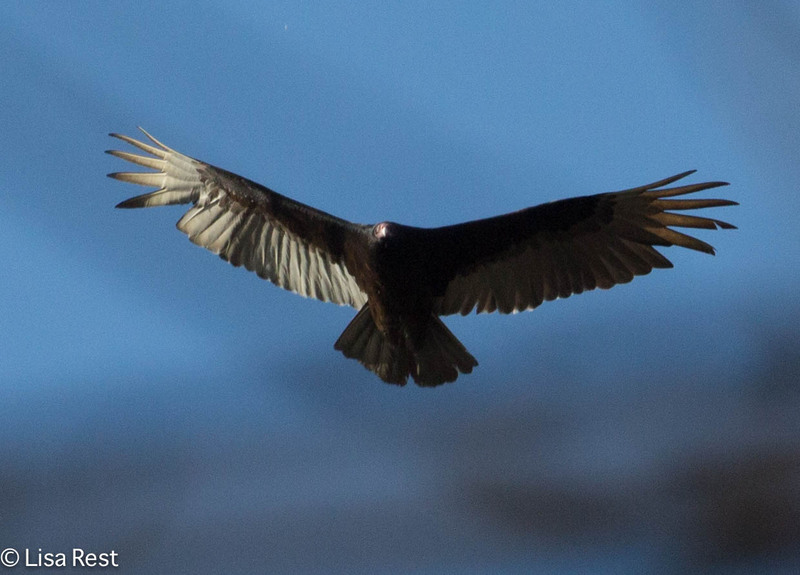 It’s always nice to see a Turkey Vulture flying overhead. Another raptor seen here was a Cooper’s Hawk but the photographs were good only for later verification of its ID. 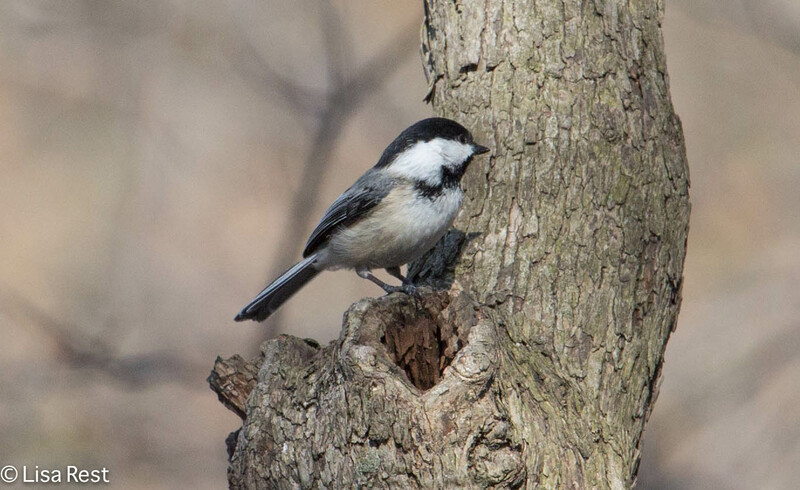 The designated Black-Capped Chickadee greeted me. 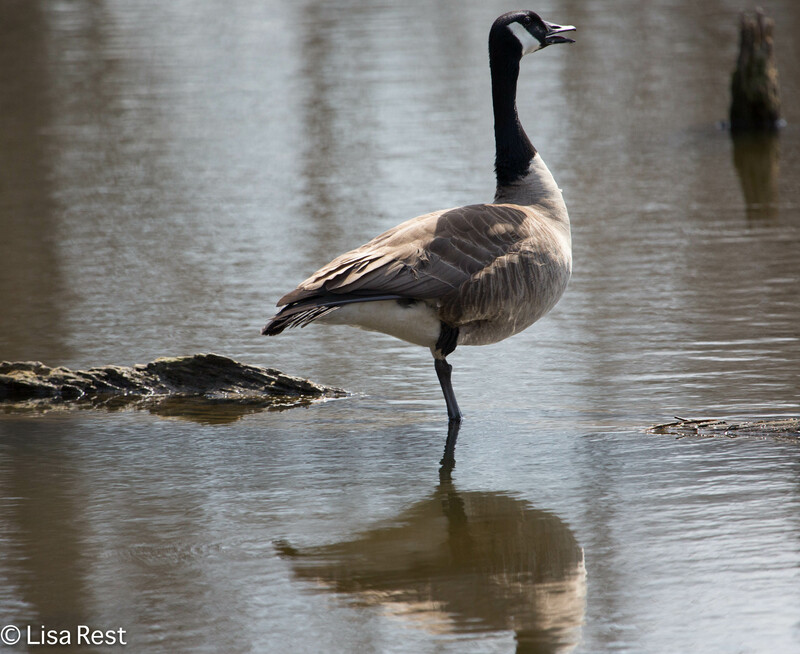 The image of a Canada Goose above explains to me how even if you have black and white markings on your body you can still blend in with the scenery. 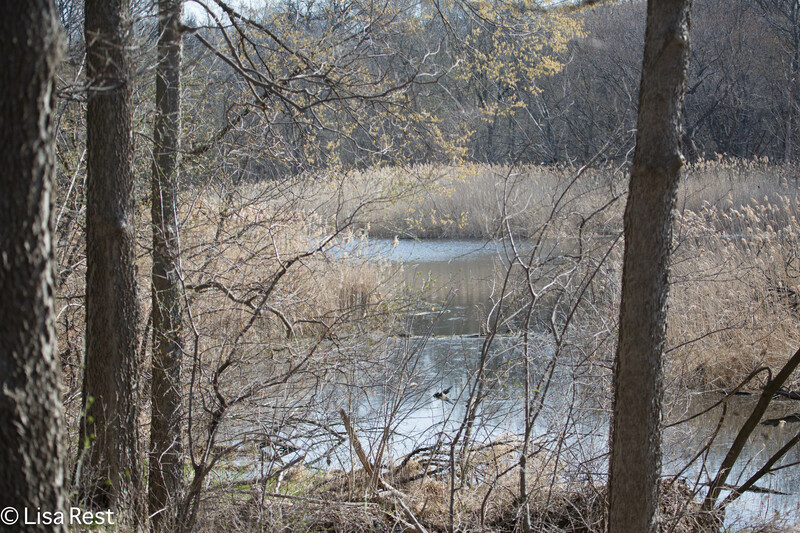 Walking back along the Des Plaines, I saw something black and white across the river but had no idea what it was until I got it in the camera view. 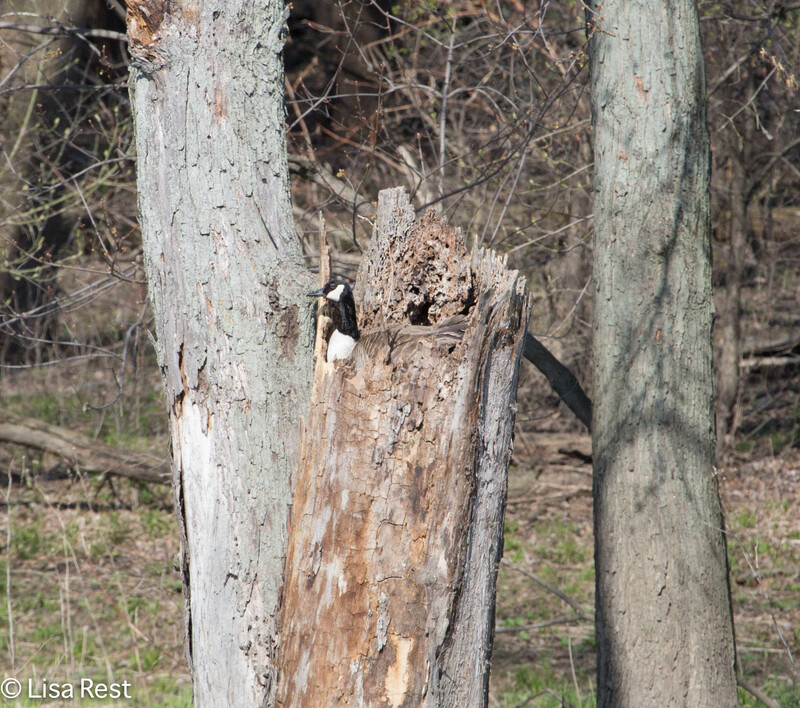 The nesting spot above looks like a fort. I stopped at the Jewel-Osco and then went on to the Chicago Portage to see what, if anything, had changed over the week. The ground is a lot drier, leaving the bottomlands almost drained. 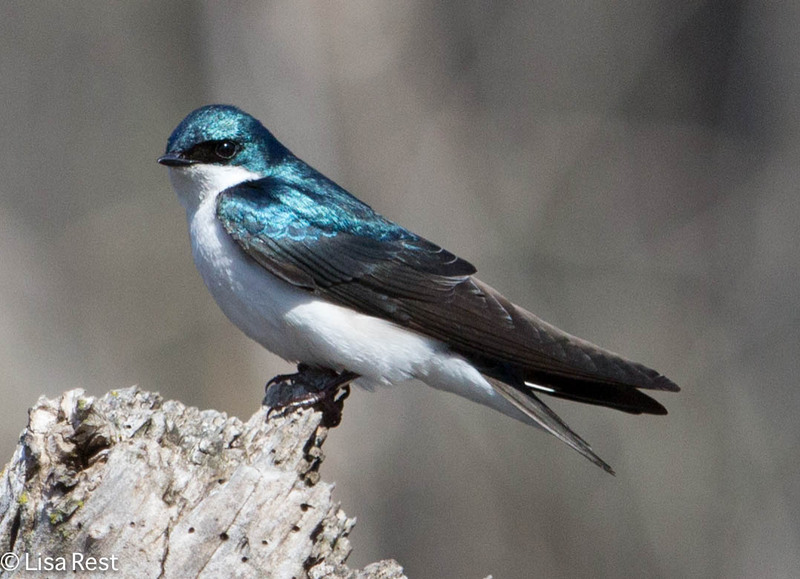 But I was quickly awakened by chirps of dueling Tree Swallows. 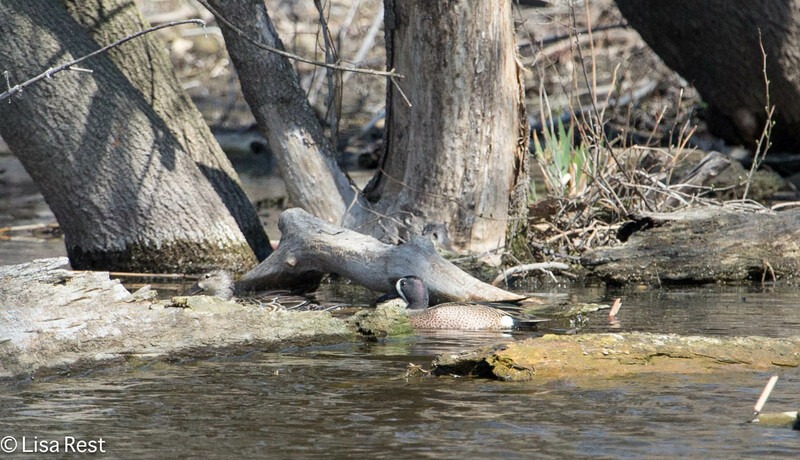 The one I photographed most was protecting his prime nesting spot in a dead stump right by the south foot bridge. 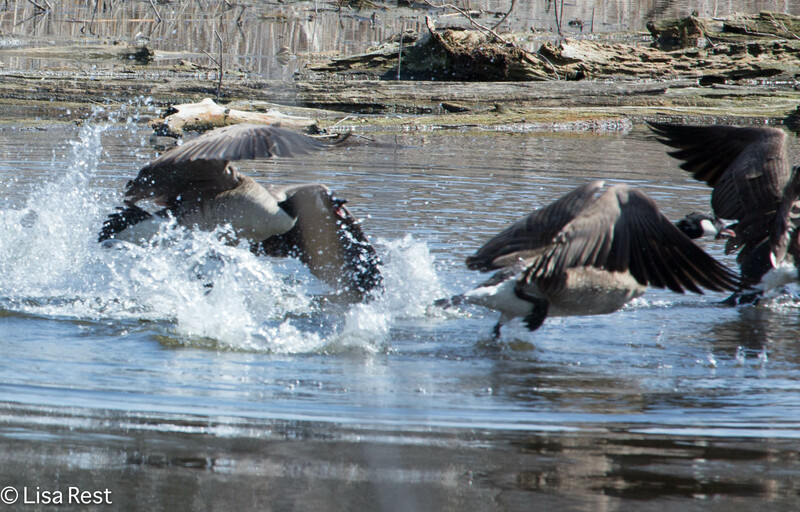 The Canada Geese were defending their territories too, sometimes quite vigorously. 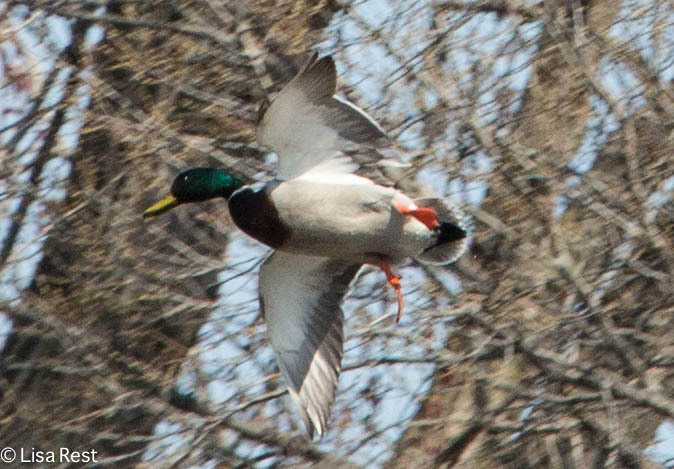 I must have startled this Mallard, but he gave me some interesting shots. 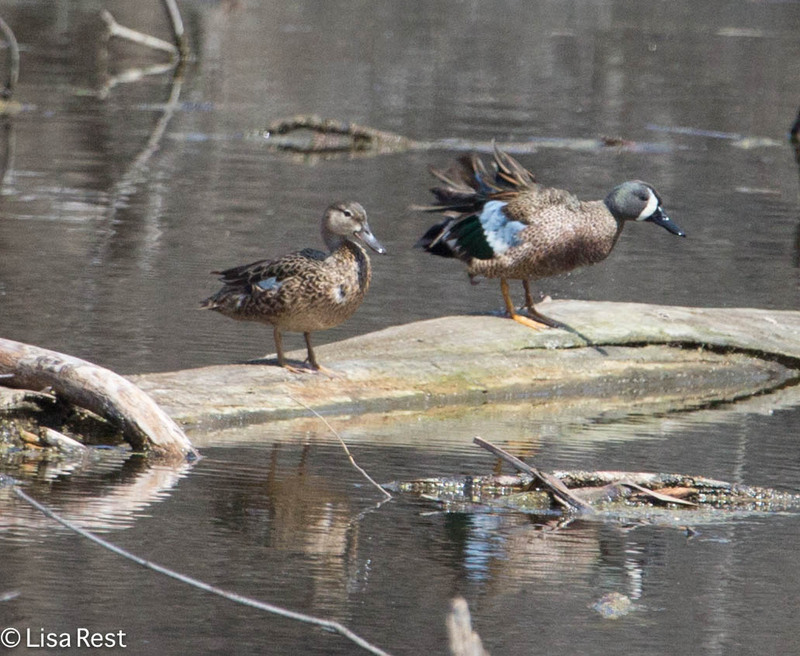 Blue-Winged Teal have decided they like the Portage. I wonder if they will stay. I counted four pairs yesterday! The first picture below illustrates how well they can blend in too. 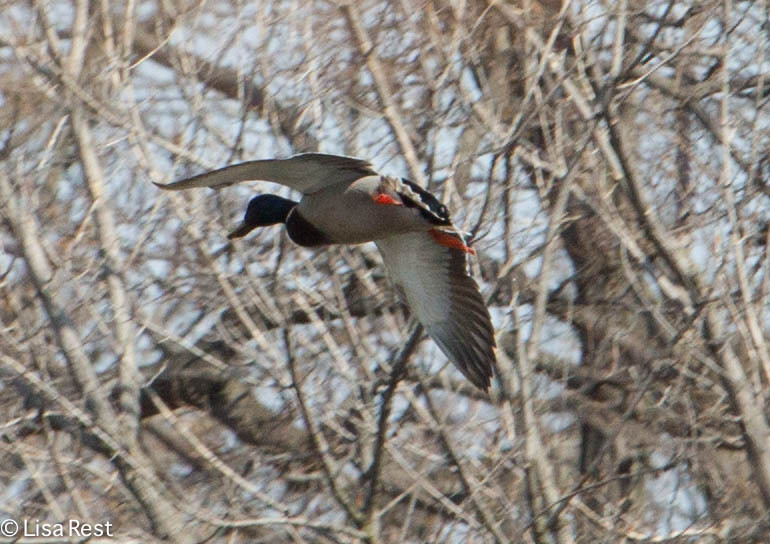 The second shows a flash of that blue wing. 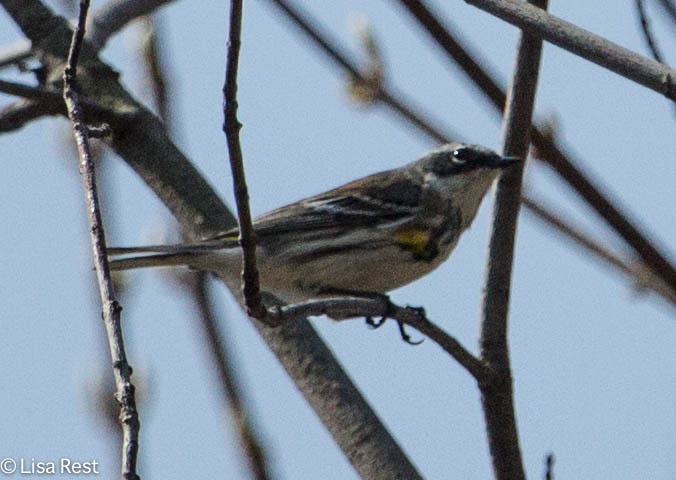 There was another warbler I have yet to identify from many crummy pictures, but below is the only Yellow-Rumped I could find. 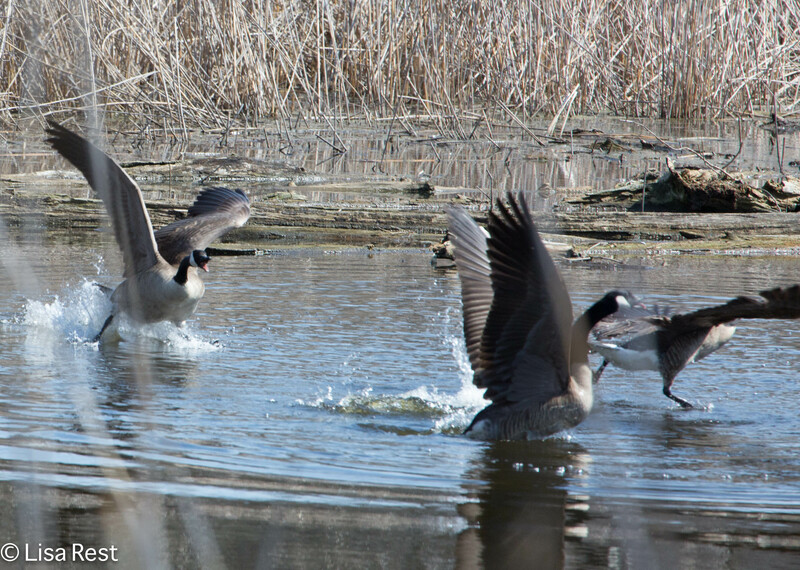 There were two Blue-Gray Gnatcacthers chasing each other, probably over that nesting thing. Yellow-Bellied Sapsuckers won’t nest here, they travel much farther north. 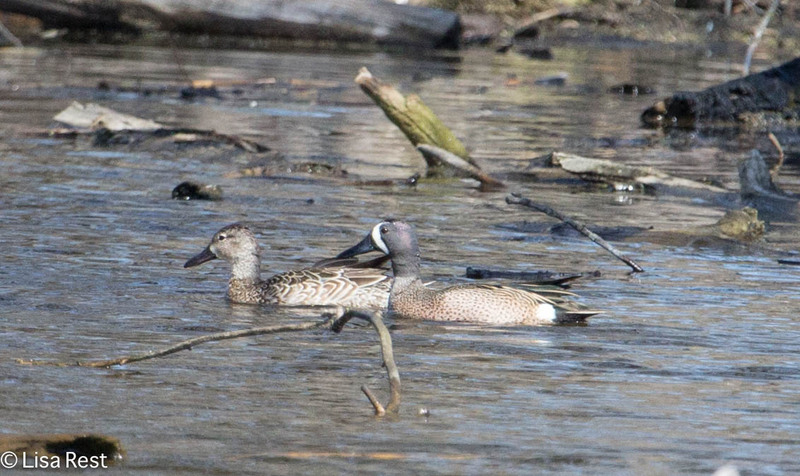 But it sure was nice to see this guy in his breeding plumage. I am sparing you a lot of Painted Turtle Pictures this time, although they were out in great force soaking up the sun. 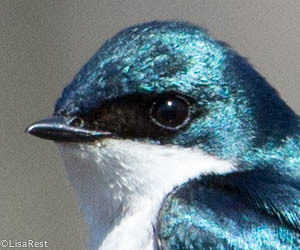 Below is my cooperative Tree Swallow once more. I will try very hard to come back one more time before leaving for the Edwards Plateau in Texas on Friday. 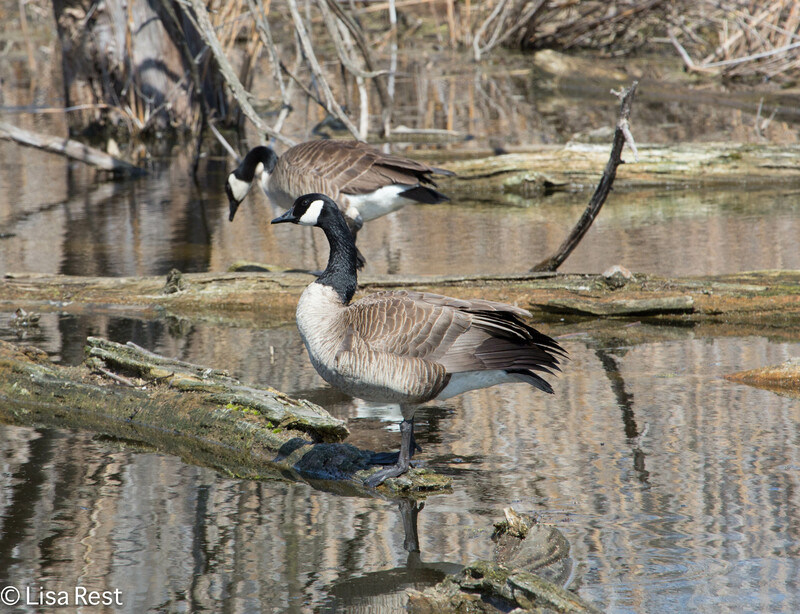 This entry was posted in American Robin, birds, communication, photography, raptors, spring migration, Warblers and tagged American Robin, American Tree Swallow, Black-Capped Chickadee, Blue-Gray Gnatcatcher, Blue-Winged Teal, Canada Goose, Chicago Portage, Mallard, nesting birds, nesting material, nests, Ottawa Trail Woods, Turkey Vulture, Yellow-Bellied Sapsucker, Yellow-Rumped Warbler by Lisa Rest. Bookmark the permalink. Great swallow portrait among a really good series of interesting pictures. Thank you. 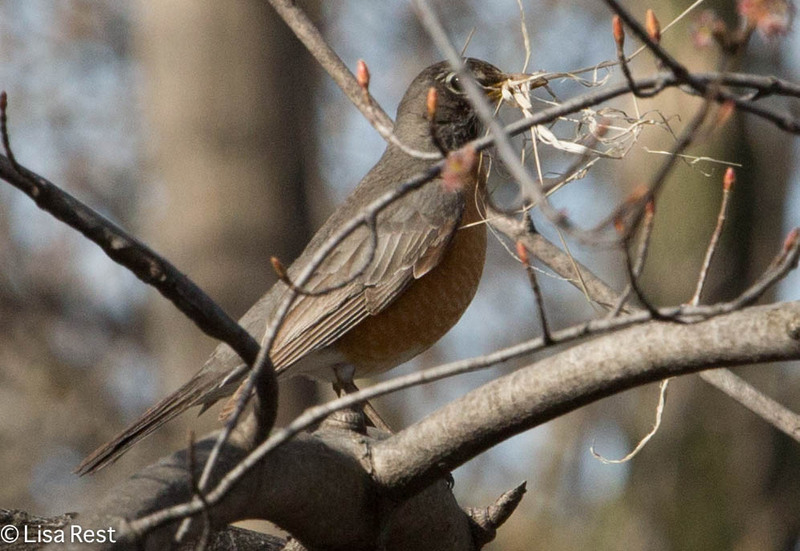 Best of luck with your new granddaughter and her parents’ nesting season. 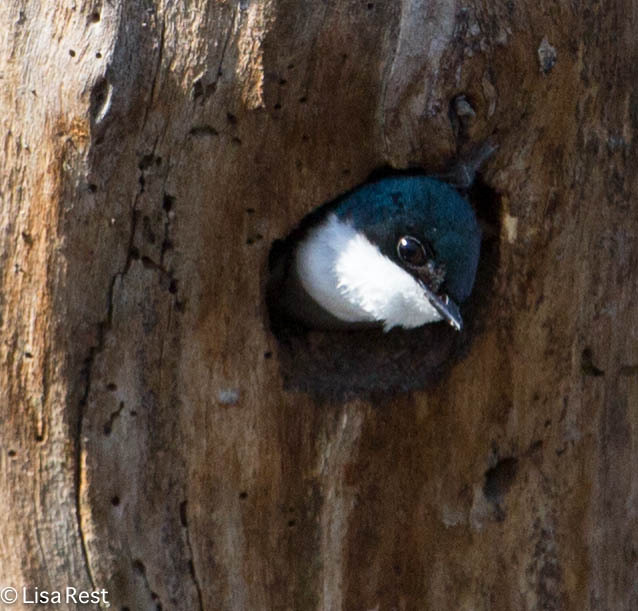 Love the pictures of the tree swallows. Very cute! 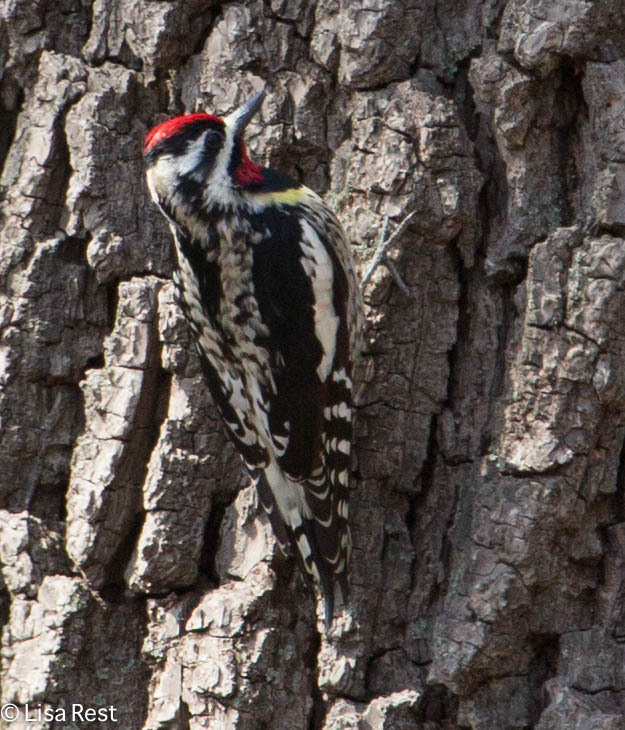 And I have never seen a yellow bellied sapsucker. Do they ever make an appearance in the suburbs? What? 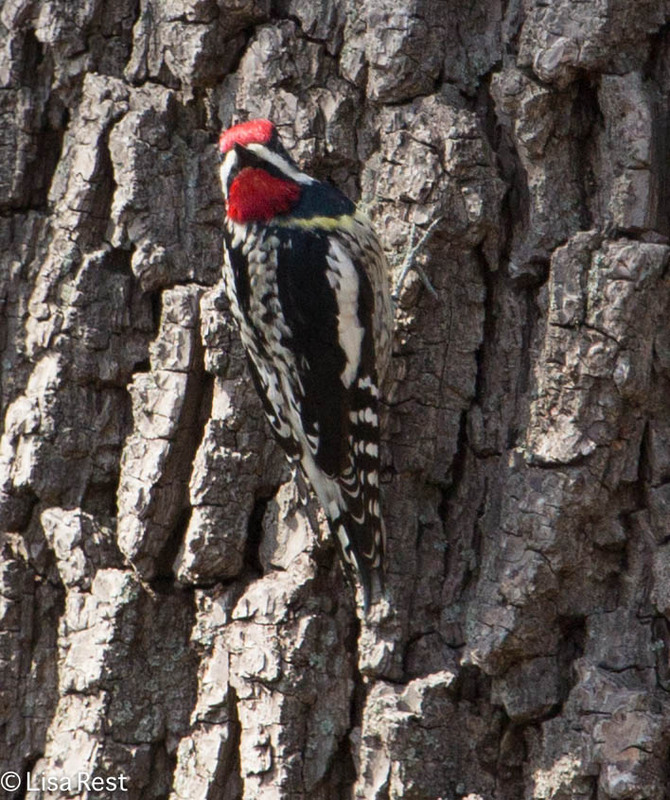 You’ve never seen a Yellow-Bellied Sapsucker?? I would think with all the big old trees and your proximity to the lakefront you would get them in your neighborhood. I have seen one or two on occasion in Berwyn. Actually, there were 10 or so of them in my little lakefront park hangout last week. They used to come through Daley Bicentennial in numbers, so it’s logical at least a few stopped by Lake Shore East Park. 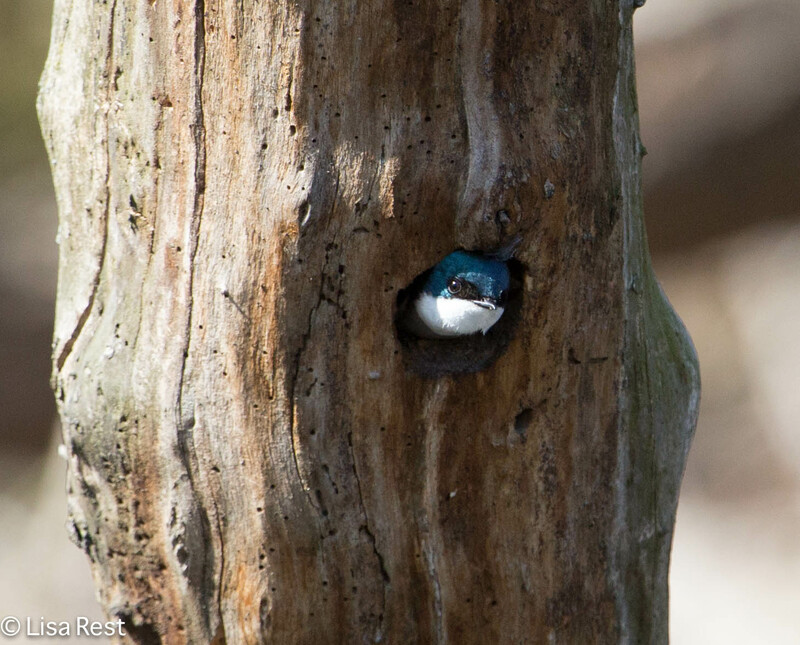 They tend to dart around and blend right into the tree…I hope you get to see one soon! The females are less colorful. 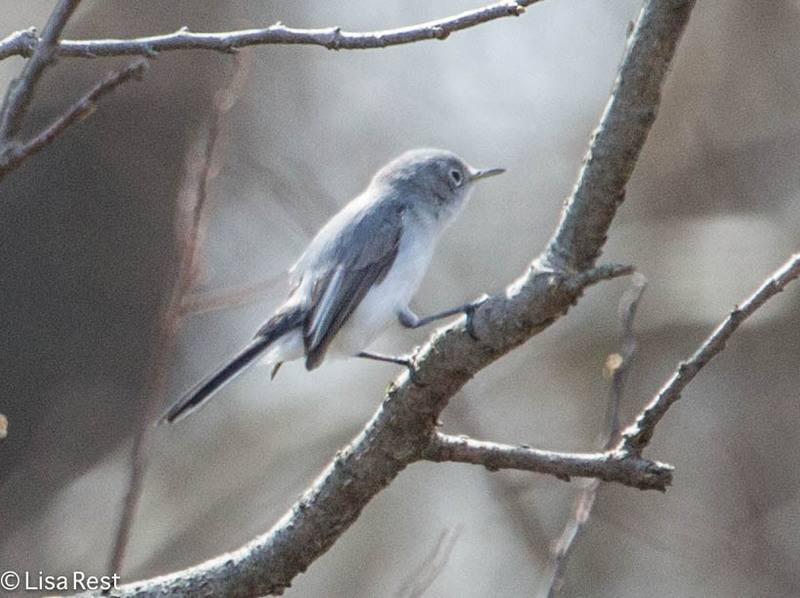 And in the fall the immature males look like the females. 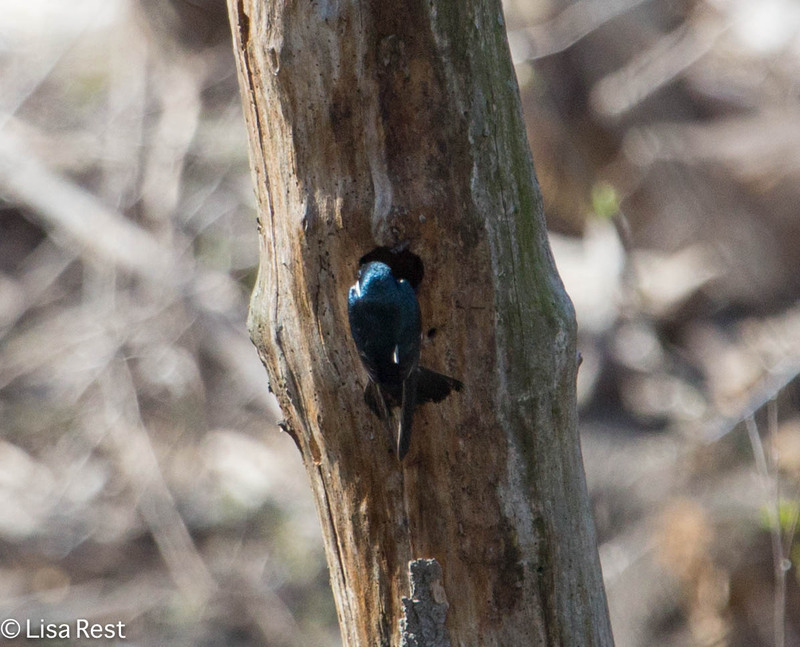 Great variety and love how you captured the blue iridescence on the tree swallows, gorgeous little fellas!